2016 Bentley Mulsanne. Moonbeam over Peacock with Magnolia interior. 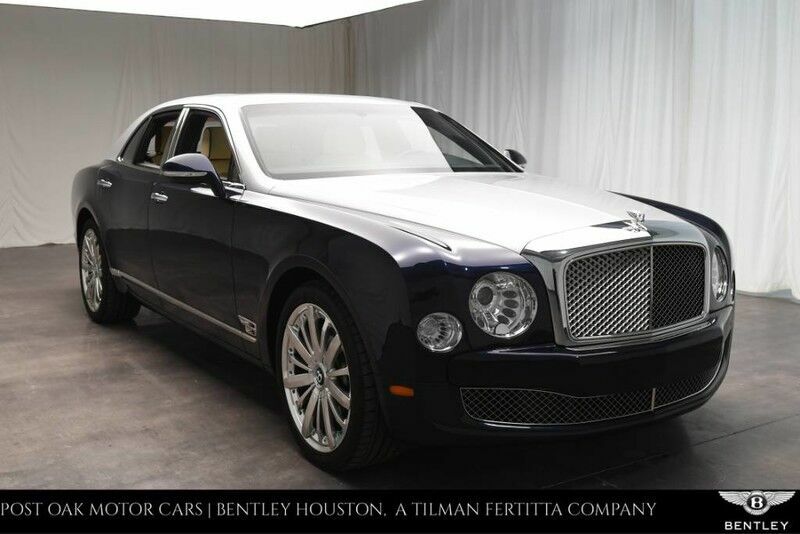 This Mulsanne came with an original msrp of $361,109 and features Premier specification, Mulliner Driving Specification with polished wheel, seat piping, 6 disc dvd player, chrome radiator shell with stainless grille and deep pile mats to front and rear.